Summary: I wanted to do something by Charles M. Schulz but unfortunately I simply couldn’t decide which Peanuts collection to do so I decided on this book. I Take My Religion Seriously was not written as a book, instead it is actually a collection of one panel cartoons that Schulz drew for different church magazines and the like. 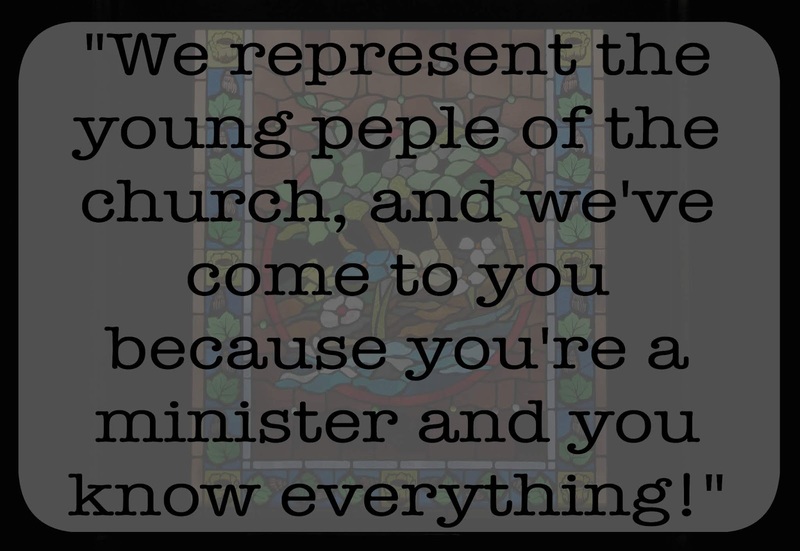 It is filled with ones dealing with the struggles of teens in the church, how church events affect your life and wondering if even the Pastor really knows whats going on. What I liked about it: Each or the comics is never afraid to laugh at itself. 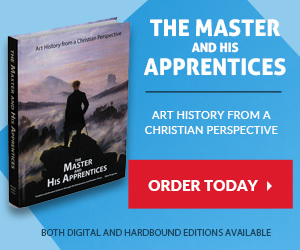 It pokes fun at church life as it was when the comics were written while never being irreverent. The comics have fun dealing with both serious and not as serious subjects while still being good clean fun. In case you are wondering, no they don’t feature characters from Peanuts but instead have a variety of older, mostly teenaged, characters for you to laugh along with. Romance: There are a few jokes made in relation to dating but they are never inappropriate. Recommended Age: As these are not Peanuts I would say a bit older. Not because they aren’t clean but simply because I don’t think younger children will get what makes them so funny. I think at least 13-14 is probably a good age as by then kids will be a bit older and more likely to get the jokes. On a side note this book only had one publishing back in 1989 and so can be a bit hard to find. If you (or your local library) doesn’t have a copy I heartily recommend Inter Library Loaning it if your library does that, or even picking up an inexpensive copy of it up. 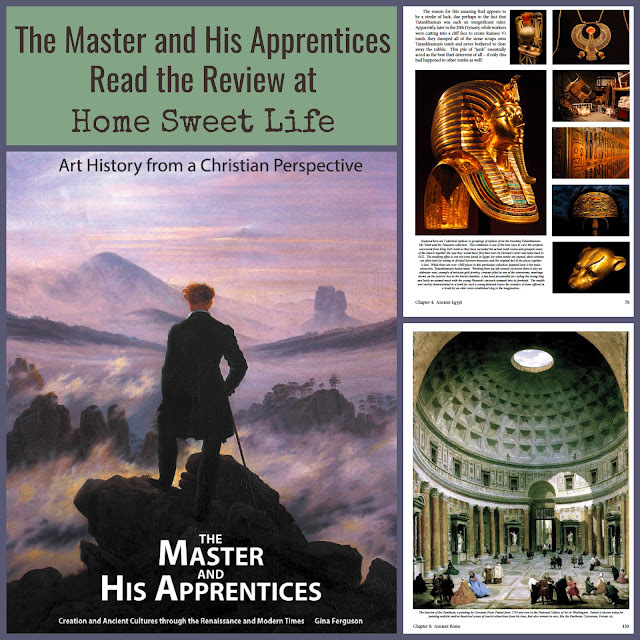 I was unable to find it on regular websites like Amazon and eBay but I did find copies for not to much on a website called abebooks.com. 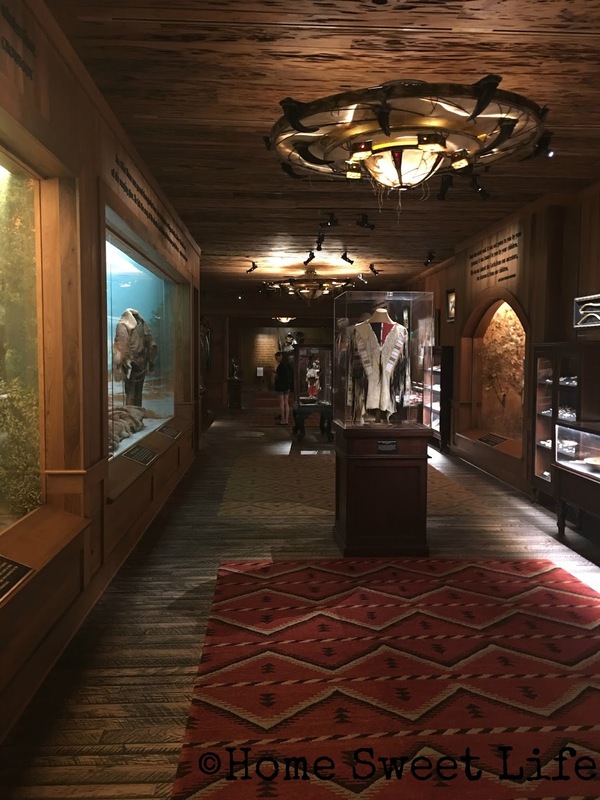 In September of 2017, Johnny Morris’ Wonders of Wildlife National Museum and Aquarium opened in Springfield, Missouri. These two destinations are attached to the famous GrandDaddy Bass Pro Shop in Springfield. 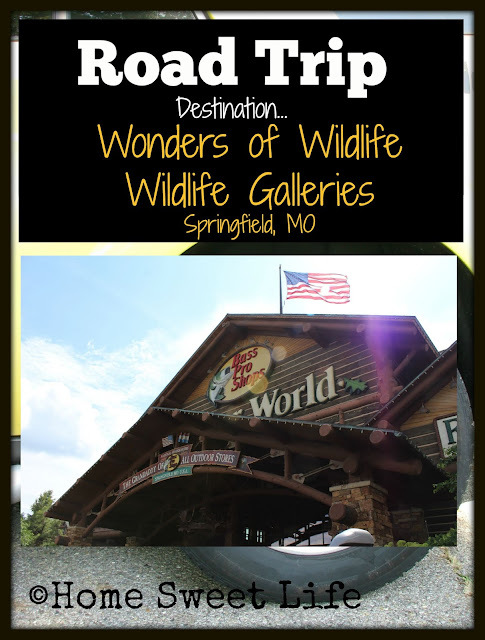 Our family has visited this awesome Bass Pro Shop before as Springfield is a great overnight stop between Indiana and Oklahoma. For those of you who have been to Branson, MO, or are planning a trip there soon, Springfield is about one hour north of Branson. When we learned that the Wonders of Wildlife - Wildlife Galleries were already open, we knew we needed to include a stop there on our recent family road trip. We are so glad we did! 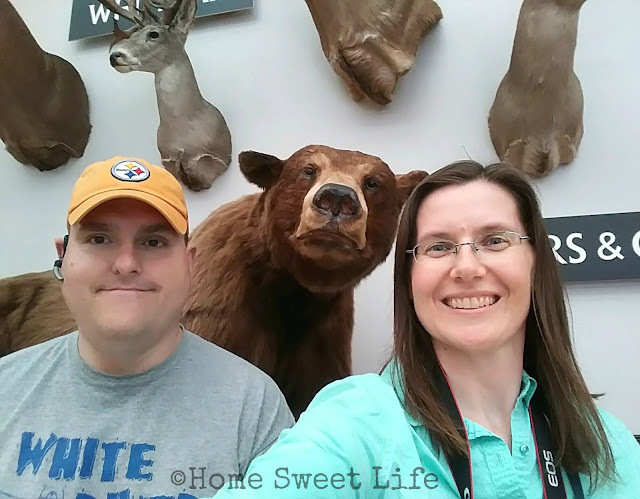 We also visited the Wonders of Wildlife Aquarium, but that will have to wait for another Road Trip post because there is simply too much to tell you all in one day! If you’ve ever visited a Bass Pro Shop I’m sure you’ve seen some taxidermy animals in their displays. 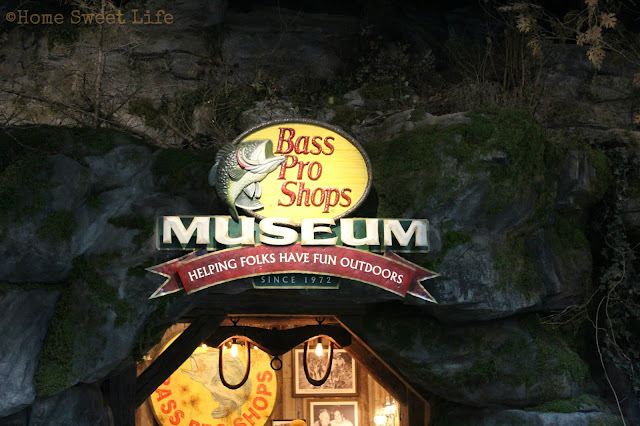 Bass Pro Shops are known as destination shops for all sorts of outdoors things, not just fishing. They are also a place where families can enjoy seeing mounted, stuffed animals, as well as live fish, and often alligators as they wander the store. (The people wander the store, not the alligators - LOL! ) 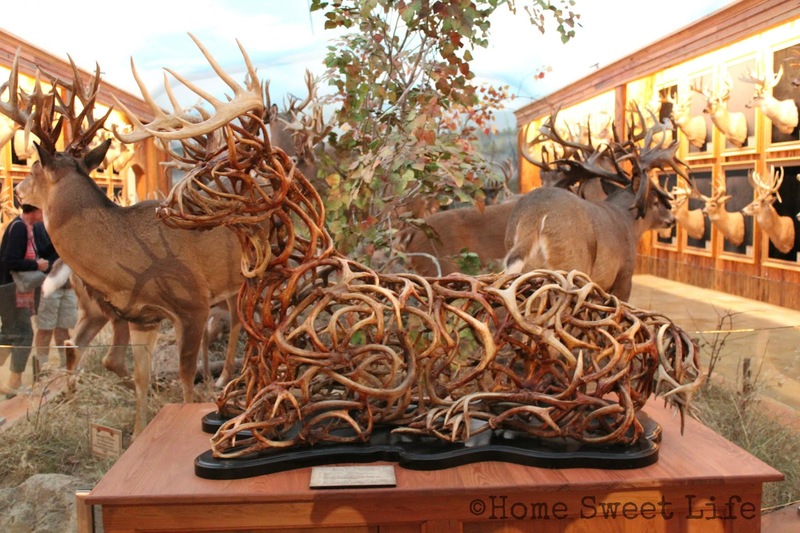 The Wildlife Galleries go even further than the typical store displays. I know I won't be able to do justice to just how awesome of an adventure this was for us, but I’m going to try. So let’s jump in and get started! The Wonders of Wildlife National Museum Wildlife Galleries have over a mile of galleries to walk through. 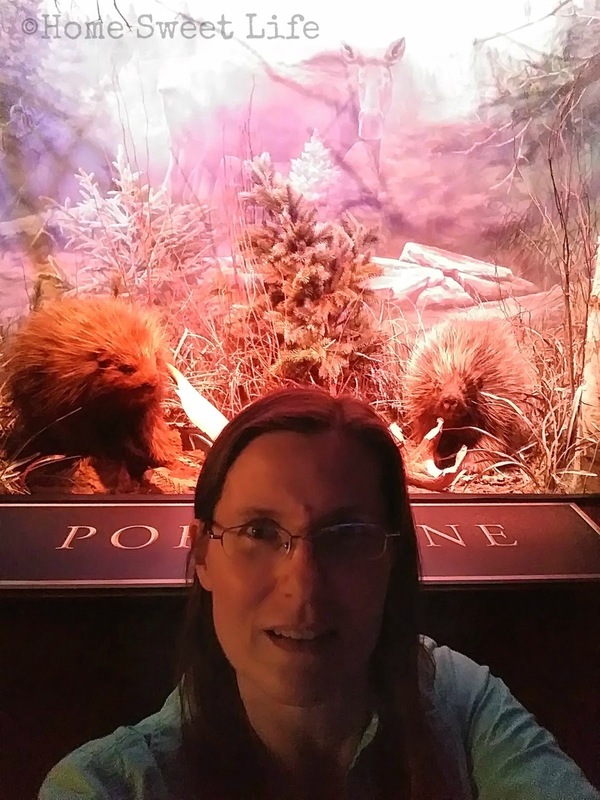 This is the largest collection of taxidermied animals I have ever seen, but it is SO much more than just stuffed animals! To begin with, these are immersive displays, many of which include sounds and or smells. The African display was amazing… but more on that later! This huge collection of wildlife galleries walks you through the history of the conservation movement. 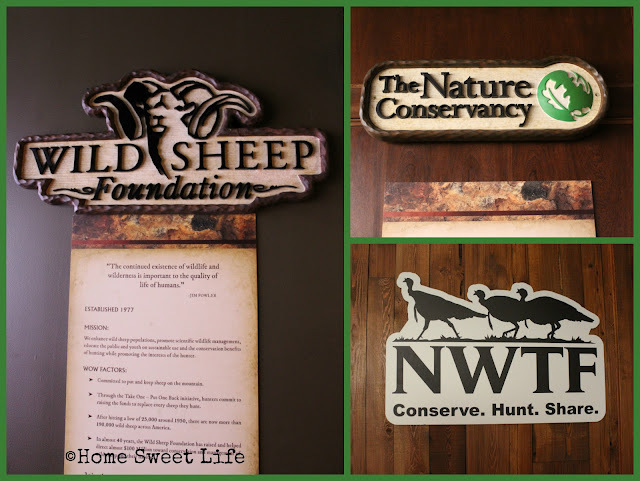 It highlights some well known conservation groups like The Nature Conservancy and the National Wild Turkey Federation, as well as some lesser known ones. To begin our journey, we entered the main doors of the Bass Pro Shop and went up the escalator to the museum entrance behind a huge bronze statue of a buck. Feel free to use the elevator if that is more your style. 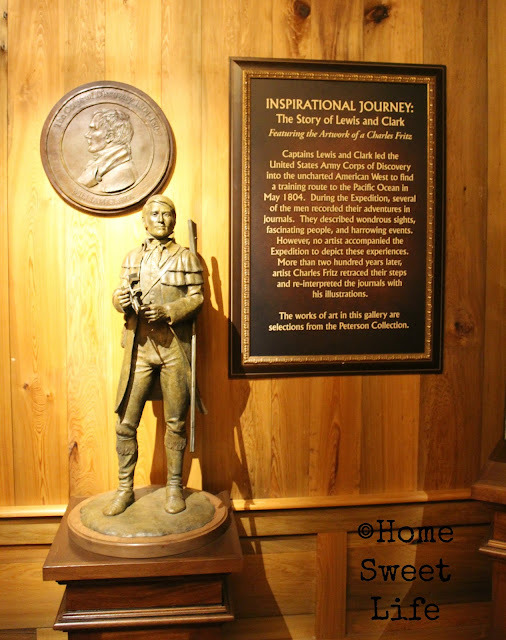 Upstairs you will walk through a small museum gallery about the history of Bass Pro Shops and then be greeted by the friendly staff who can help you choose your adventure for the day. Go for the combo pass so you can see both the wildlife galleries and the aquarium. Trust me on this one - you will want to see both! The staff will explain the timed entry system they use when the galleries are busy that helps ensure every visitor gets to enjoy their adventure. On the Wonders of Wildlife website they recommend allowing at least one hour for the wildlife galleries. As a family we all agree you should plan for 2-3 hours for this part. If you order your tickets online you can choose your time in advance. Weekdays are less crowded than weekends. 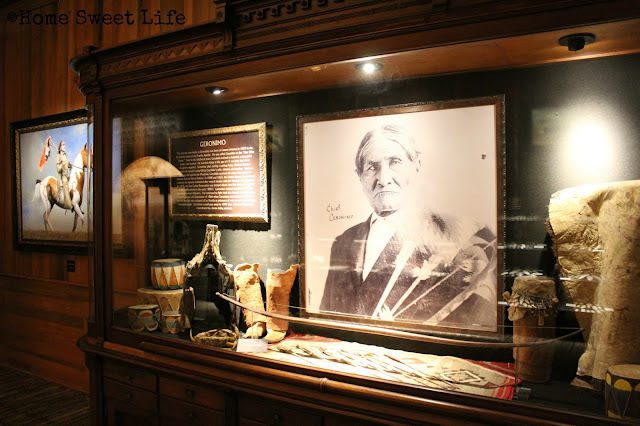 Your trip though the museum begins with tribute to the Indians who lived here first and includes displays of native dress and artifacts, as well as quotes from native leaders. Then you will travel through the Lewis and Clark exhibit. This interesting collection was made after plein-air artist Charles Fritz travelled the route Lewis And Clark took on their historic voyage. 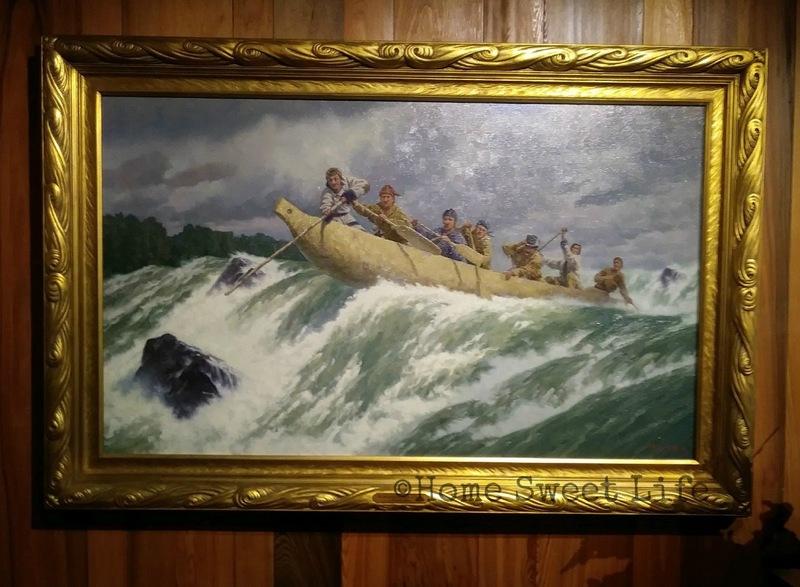 His experiences, combined with Lewis & Clark's journals, were the inspiration behind many of these pieces. 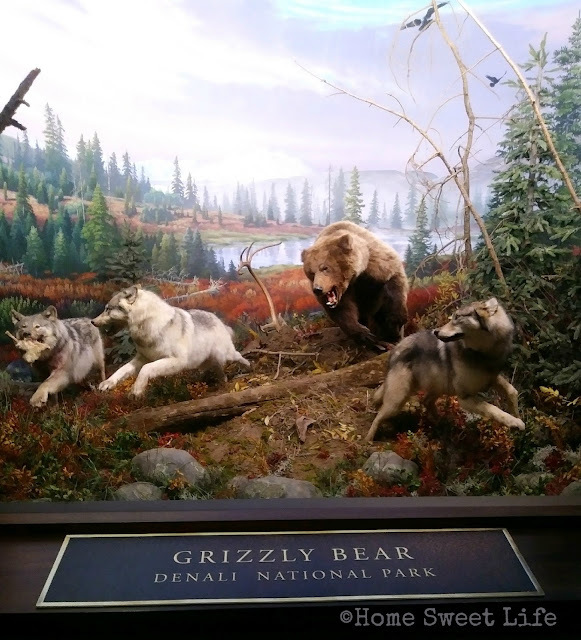 Your next encounters will be in the North American Wildlife Galleries. This section of the museum has many excellent tableaus celebrating our National Parks and the wildlife found therein. Each scene is tastefully done with excellent attention to detail from the main taxidermy specimens to the painted backdrops and foregrounds filled with rocks, logs, and small game. Your enjoyment of the displays has obviously been on the minds of the set designers. The fronts are done with anti-reflective museum glass and placed at an angle so visitors of all heights can get a front-row view of the action packed scenes. If you are wanting to practice your nature photography skills, or teach some to your children, this would be an excellent location to practice. The scenes are designed to fill you with wonder and awe of the magnificent wildlife that surrounds us. Lighting within the hallways is purposefully dimmed (but not dark) to draw your eye into the action, like in this scene of a grizzly bear chasing wolves at Denali National Park. I never realized just how huge a Bull Moose was until I rounded the corner and found myself face to face with one. 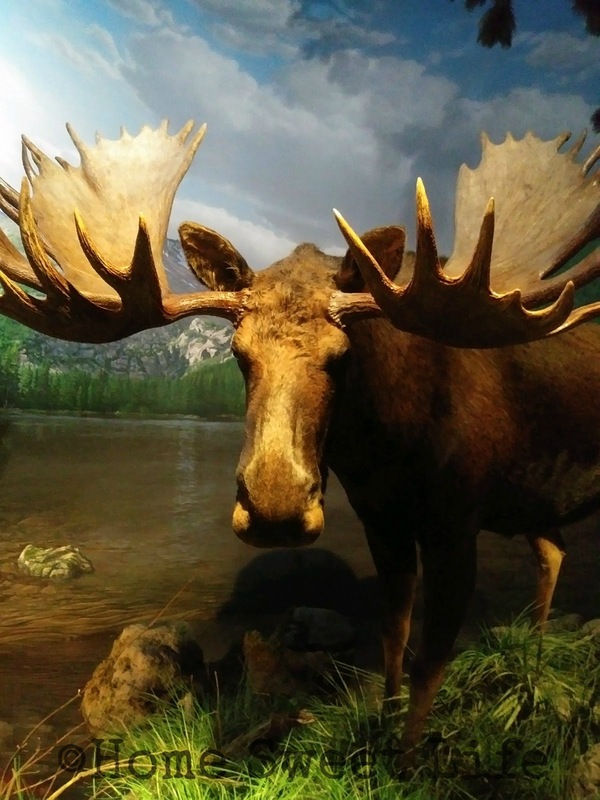 This museum lets you get up close and personal with the wildlife. 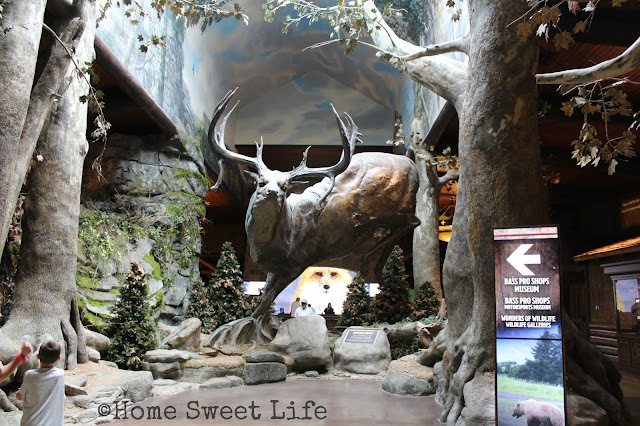 After the National Parks you will enter the Heads and Horns Big Game room. Here you can learn more about conservation, big game hunting through the years, and even have a chance to take a selfie or two with some bears or a musk-ox. By now you may be wondering “just how big IS this place?” It is huge! Fear not, there are benches placed in larger galleries, and in front of the video screens where you can sit and rest a spell if needed. There are restrooms discreetly placed throughout the Wildlife Galleries, and there is always a staff member nearby if you have questions or need help finding a specific gallery. 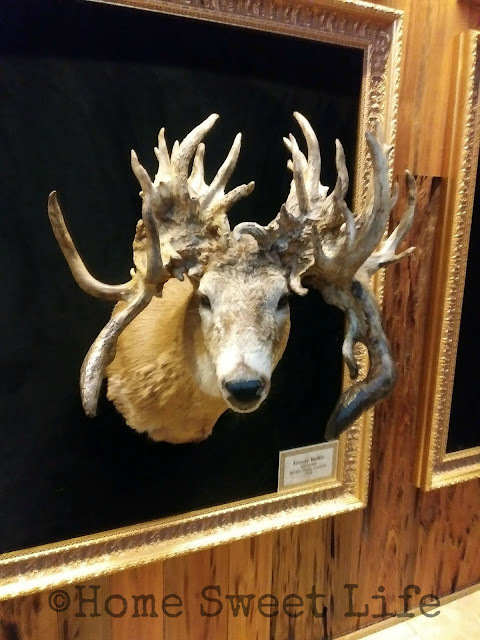 There is a rather large gallery of Bucks and Bulls that showcases an amazing range of deer and elk from North America, both those you might be used to seeing, and some that are a little … unusual. Along your trip through the Wildlife Galleries you will learn more about various conservation groups like including those I mentioned earlier, and some lesser known groups. There are areas that talk about each group’s beginning, mission, and current scope of service. If you make it to the Wonders of Wildlife Museum by July 5 of this year, you will have the opportunity to view the traveling Portraits of Courage exhibit. 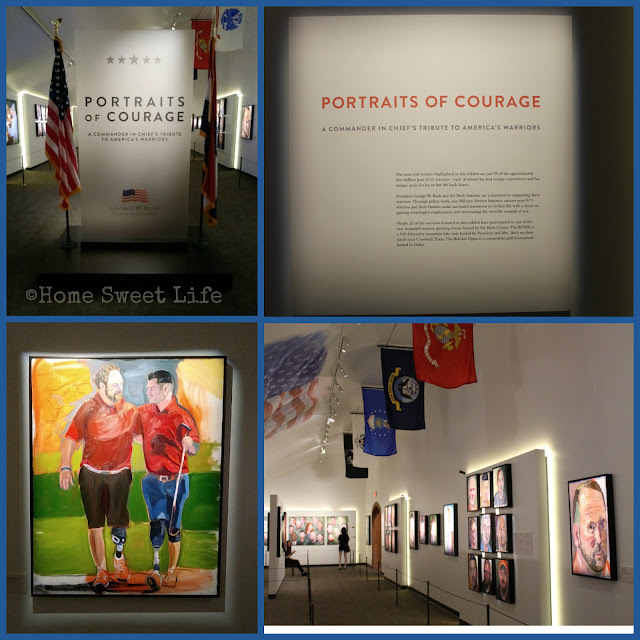 This is an excellent collection of paintings done by President George W. Bush that honors America’s military servicemen and women. Even with all of this there is still more to see. We all enjoyed the room with the live Gentoo penguins and the stuffed narwals. There is an area dedicated to the Inuit and the northern-most animals they live amongst. Kurt enjoyed the walrus scene. I liked the narwals best. The girls both laughed at the antics of the penguins. The last area you will travel through is the African exhibit. I read online that the creators spent a year on this area alone. It really shows. It not only looks like you just stepped off of a plane to go on safari, it smells like you are in Africa! I am pretty sure that if we let her, Emily could have spent an entire hour just in this one gallery. 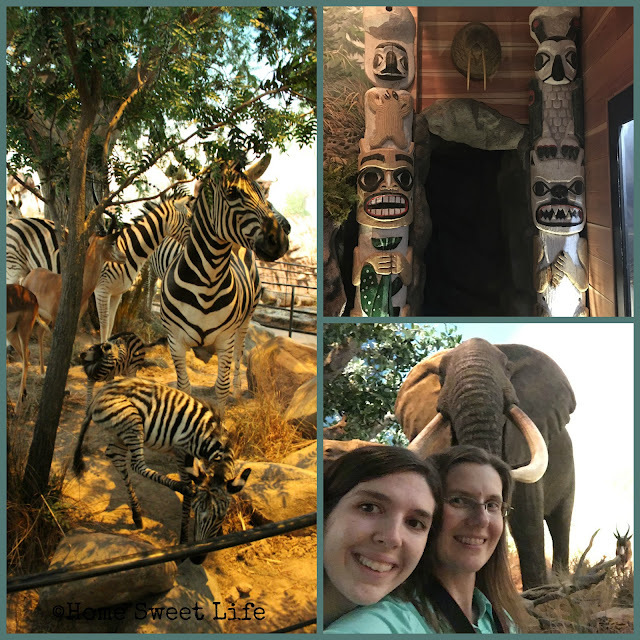 She has always loved African animals and would wander from scene to scene and then come back and get me to “come see this one.” This gallery is one huge room where you take a winding path past zebras, elephants, and giraffes and end up face to face with a male lion. Amazing! We give this museum an A+! The attention to detail, the friendliness of the staff, and the sheer amount of awesomeness contained within the walls is amazing! When we finally made it back to the car, one of the girls commented "Worth every penny of admission and then some!" I could not agree more. We will be back to visit again, and we are planning to bring friends! 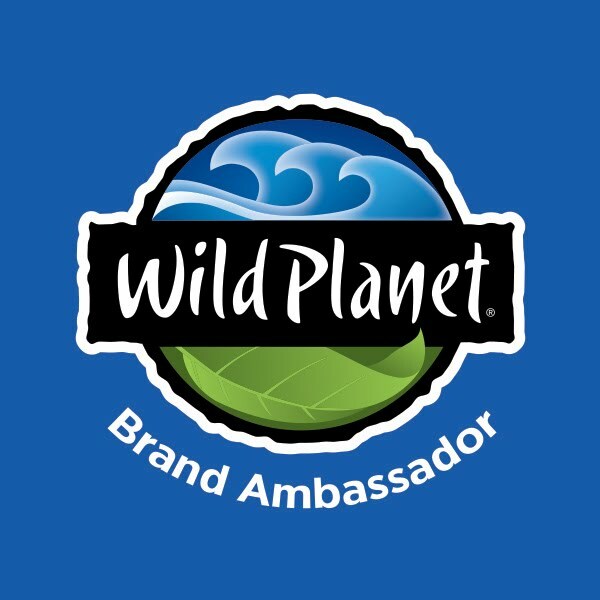 We want to give a huge Thank You to the staff at Wonders of Wildlife who hosted us for the day. 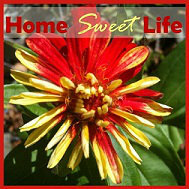 When you take your own road trip, be sure to let them know you heard about them from us here at Home Sweet Life, it will let them know just how much their hospitality was appreciated! Have you ever hear date expression “The days are long, but the years are short" ? While this applies to all of parenting, it especially applies to the Mama who chooses to give up several years of her life to educate her children at home. There will be days when you cannot wait for your husband to get home from work, just so you can step outside and have five whole minutes to yourself. There will be other days when everyone eagerly awaits Daddy’s arrival to show him what you dissected in science or made during art class. There will be stellar days, and other days when you will weep. But remember this one thing: the years are short! 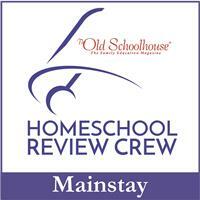 Looking ahead to this fall I can almost see the end of our home education journey. 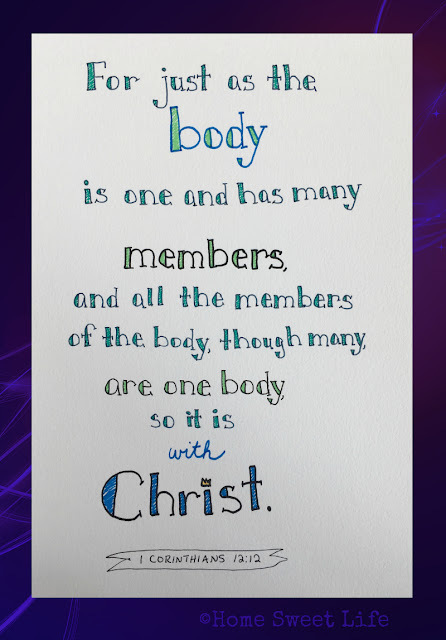 Our youngest daughter is finishing her senior year of high school, and as I contemplate this 16th year of our journey, I wish I could reach out and give each and every one of you a big hug! There are going to be tough days, maybe even tough years ahead of you - but know this - GOD is always faithful! 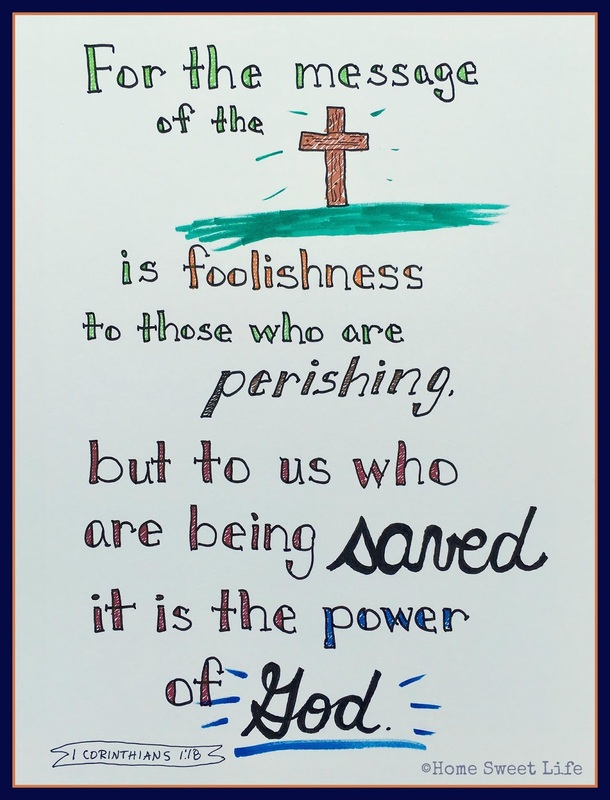 There are five lessons He has taught me along this path that I want to share with you. They might not mean much to you today, but when the time comes, I hope you will remember them, and turn to God for the daily strength and help you need. Each day, each year, each time you face a challenge, begin with prayer. God is right there waiting to give you what you need to successfully raise your children. He wants you to know Him intimately, He wants you to read His word - for yourself, and to your children. He is waiting for you to humble yourself in prayer and ask for His guidance. On the days when you fall short and loose your temper, He will be there waiting for you to ask forgiveness through prayer. On the days when you rejoice because your child finally found the connections between letters and sounds and learns to read - He will be there, waiting for your praise. On each and every day He is only a breath away through prayer. 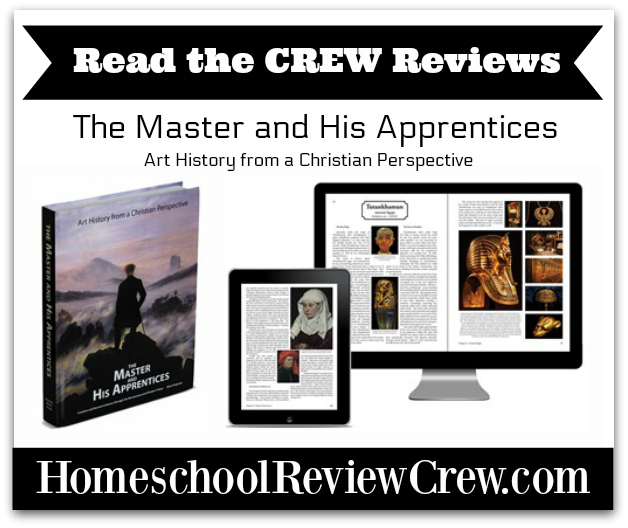 As you begin homeschooling you can easily become overwhelmed with the vast array of choices of curriculum and learning styles. Step back. Breathe. Less curriculum is better than more. There are always new and shiny things begging for your attention, and your money. Choose less re-made curriculum instead of more as you begin to educate your children, and remember, for thousands of years the Jewish people educated their children with only the first five books of the Old Testament. There will come a time when you need a math curriculum or a biology book, but if your children are still little, all you need is a Bible, some paper and crayons, and a library card. While your children DO need to be taught, the most important lesson they will ever learn is that you love them! When you plan for the year, do not get so wrapped up in finishing your plans that you miss God’s plans. He has given you these tender, although sometimes stubborn, hearts to care for to show them His love. If your children do not believe that you love them, they will have a difficult time believing a God that they cannot see could ever love them. Love means affection, love means correction, and love means direction. When your children are secure in your unconditional love for them, they will blossom. They will want to learn, because they will want to spend time with you. You may see posts on Facebook, or overhear conversations during the local support group meetings about the glorious achievements of other children. Do not play the dangerous comparison game! Your children will have glorious achievements one day, they will learn to read or ride a bike, they will choose to put someone else first, or they will serve at a soup kitchen. The character of your children should always trump worldly achievements. 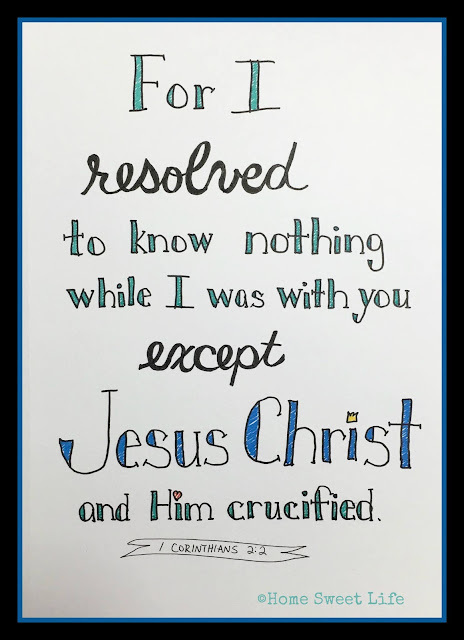 Be happy and rejoice with others when they rejoice in what their children have done, and rest in knowing you have continually put your children at the feet of Jesus - choose the best. It is tight and good to celebrate the small victories. It is not right and good to brag. Many of your celebrations will never be know outside of your immediate family, and that is OK! When a child is potty trained we celebrate, when they learn to read, we celebrate. When they graduate high school - then we celebrate with everyone … and sometimes we cry a little. When your child knows you find joy in their accomplishments, they will try harder at the difficult spots. They will want to rejoice with you when they overcome their obstacles. And maybe someday, you’ll get a text, from the not-so-little girl who did not enjoy math class, with a photo of her college test - with an A! Celebrate! Dear younger Mom, this journey you are on is a life-changer. 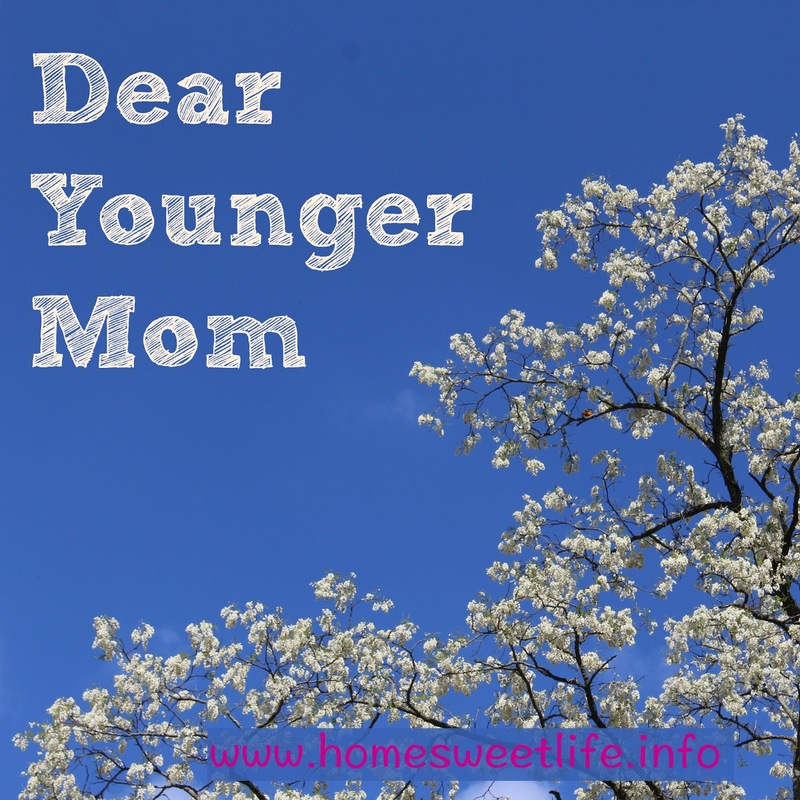 It will change you, as you work and learn alongside your children. 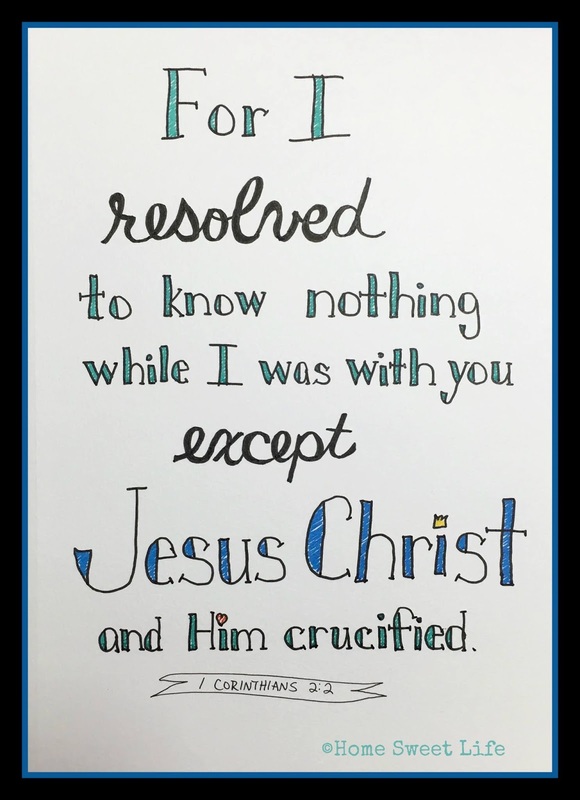 As you are obedient to our Lord and Savior Jesus Christ to love your children, and tell them about Him, He will shower you with a peace that even the toughest day cannot overcome! Summary: When Pringle’s parents are killed in a carriage accident caused by workers of her father's coal mine, 14 year old Pringle Rose finds it hard to deal with the loss and her newfound responsibility for her younger brother who has Downs Syndrome. On top of all of this her uncle comes to live with the two children to manage their affairs, and brings Pringle's annoying Aunt and spoiled little cousin with him. The diary goes back and forth between present day (for Pringle) during which she and her brother have left their old home and are heading for Chicago to hopefully stay with a friend of their mother's, and memories of the days and months after her parents died up until it catches back up with Pringle on her cross country journey. What I liked about it: I love the Dear America books because they give you a first person perspective of the time each of the girls is writing in. With Pringle I was drawn into the story of her life and its sadness but also encouraged by her want to do what is best for her and her brother despite all their hardships. 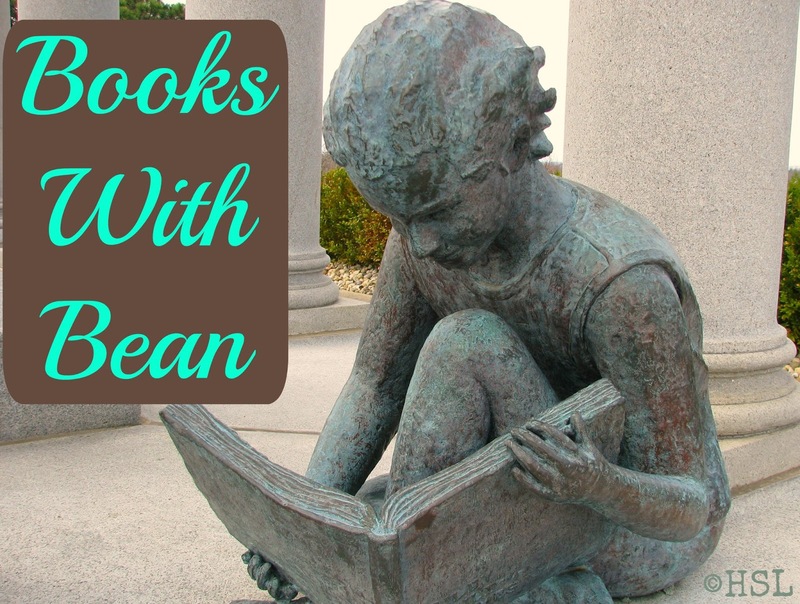 The book was both entertaining and educational and made me want to read more of the other books to learn more about other times in American history. One of the other things I like about it is while Pringle is not a real girl, there is a non-fiction section in the back of the book talking about what life was like with pictures and illustrations from the time. Romance: Pringle strikes up a friendship with a boy a few years older then herself that she meets one day while visiting her mother and father’s graves and becomes a bit infatuated with him and there is one brief kiss but it never goes anywhere after that as she soon leaves him and the city behind. Violence: Each of the Dear America diaries are written to help kids learn more about a particular time and/or place in American history. 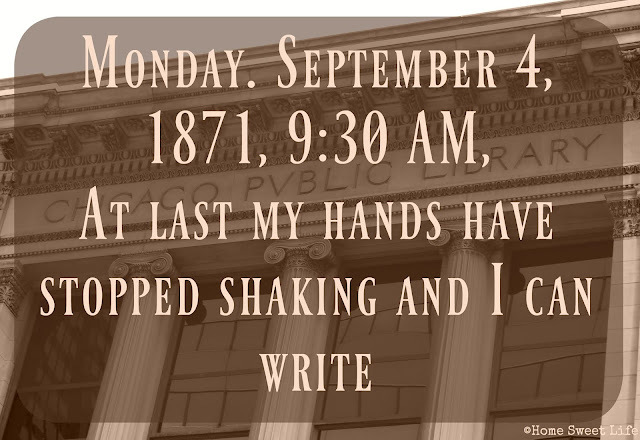 The Diary of Pringle Rose takes place in 1871 and mainly in Chicago during the time of the great Chicago fire of 1871. As such, Pringle witnesses the fire and its destruction but it is never overly graphic. Recommended Age: Pringle is 14 and I would say 12-13 is a good age to read this and any of the other Dear America Diaries. Besides these recent publications many libraries still have some copies of the out of print diaries which are also very good. For those Living outside the USA there are also over 30 Dear Canada Diaries, which are set throughout Canadian History as well as over a dozen I am Canada books which are about Canadian boys living in Canada and helping around the world in events concerning their country. For the UK their is both My Story: Girls and My Story: Boys which are about Children both in England and a few across the world throughout history. For Australia there are over 25 books in the My Australian Story Series. Which are books about both boys and girls during important events in Australian history. There is also My New Zealand Story for those living in New Zealand which like the other series has fictional diaries of boys and girls set during important events in New Zealand’s history. There are also over 25 of these. I can’t speak for the ones set in other countries but I will say this the original Dear America books are really good and a fun way to introduce kids to American History so if the ones for the other countries are even just half as good as them they will also be amazing books for kids anywhere to read to become more knowledgeable about their country's history.